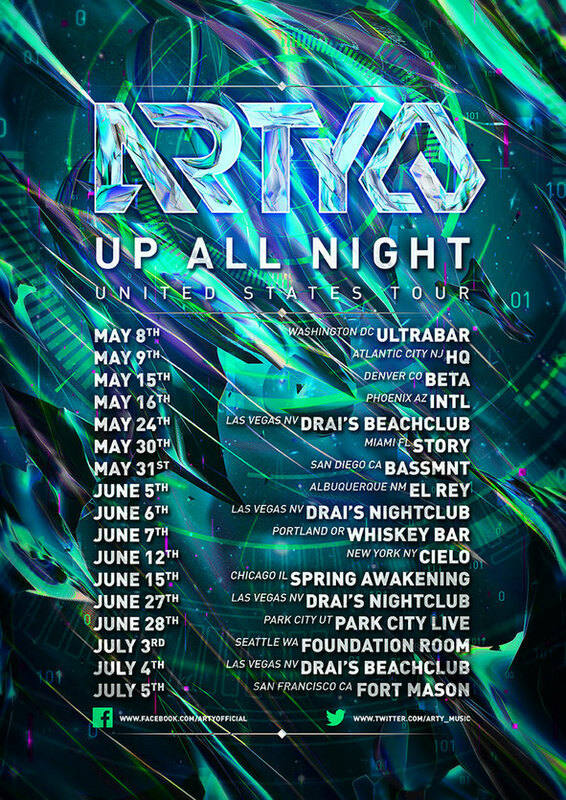 One of Russia's exports, Arty, kicked off his #UpAllNight US Tour last night at Ultrabar in Washington D.C. On this headlining tour, Arty includes dates across the United Sates with stops in cities such as Denver, San Francisco, Las Vegas, New York, Miami, Chicago, Seattle and many more. This year, Arty has been building upon his career with the development of his forthcoming debut album, track releases, and performances at nightclubs and festivals around the world. At each date on the #UpAllNight tour, people can expect Arty to showcase exclusive tracks from his forthcoming debut album, and a selection of other tracks mixed together, taking the crowd along for the ride. For tickets and more information on Arty's #UpAllNight US Tour, visit: http://on.fb.me/1iwkAhp.